Are you looking for an accommodation for your trip to Nagasaki? 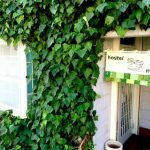 Here is my selection of the best hostels in this city of Kyushu. The city of Nagasaki offers many tourist attractions that require more than a day of sightseeing. Personally, I stayed there three days and I think I could not see many points of interest. I find it unfortunate that most tourists prefer to give only a few hours to this city and then spend the night in Fukuoka or Kumamoto. 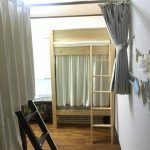 In this article, I propose you a selection of the best guest houses in Nagasaki so you do not have to look for hours well located and affordable youth hostels. Please note that I was able to personally test two of these facilities. The last one was recommended to me by other travelers. Where are located these hostels? Mixed dormitories around 3000 yen a night. 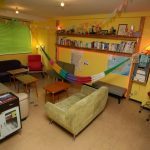 Hostel Nedoko is the best accommodation you can find in Nagasaki. It is only 400 meters from the Peace Park and a two minute walk from a tram station. The latter will give you access to most of the main monuments of Nagasaki in less than 15 minutes. Sara, the owner, will give you a whole bunch of tips and gifts that will allow you to spend a pleasant time in her hometown. Be aware that this property is very new at the time of writing. But Sara is already mastering her role as a host. That’s why she has an almost perfect score on Booking.com. Note that the lounge is equipped with a kotatsu! So it is a good way to test this Japanese invention that I would hasten to buy when I have my own home (even if it is not in Japan). Mixed or female dormitories around 2500 yen a night. 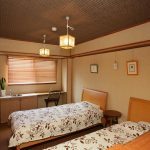 Double and triple rooms from 6000 yen a night. Casa Noda is one of the two most famous guest houses in the city with the Casa Blanca Guesthouse. This property is close to a tram station and offers dozens of bunk beds for travelers. The location of Casa Noda is a more central than the Hostel Nedoko. But that will not bring you more comfort. 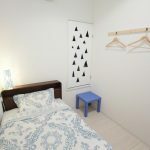 The big highlight of this hostel is that it offers a pass that allows you to get discounts for many monuments in the city like Dejima, the Gloven Garden and several museums. Personally, I took advantage of it and I was able to make not savings in addition to paying a really cheap accommodation. Single, double and triple rooms from 4000 yen a night. Casa Blanca Guesthouse is the second most famous hostel in Nagasaki. I was not able to test their rooms, but other travelers had strongly advised this place. 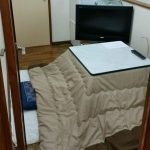 The very good average rating of this guest house on Booking.com confirms the good reputation of this youth hostel in Nagasaki.